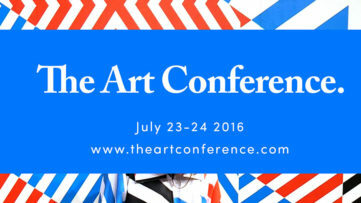 Gala event will be happening at the Los Angeles Art Share space, followed by a silent auction of contemporary art. 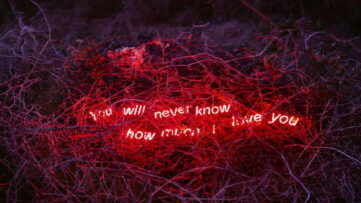 Titled Above the Streets, the event will feature artwork of Robert Montgomery, whose poetic sentences light up the streets of the city, elevating the attention of the passers-by into higher, ethereal realms. 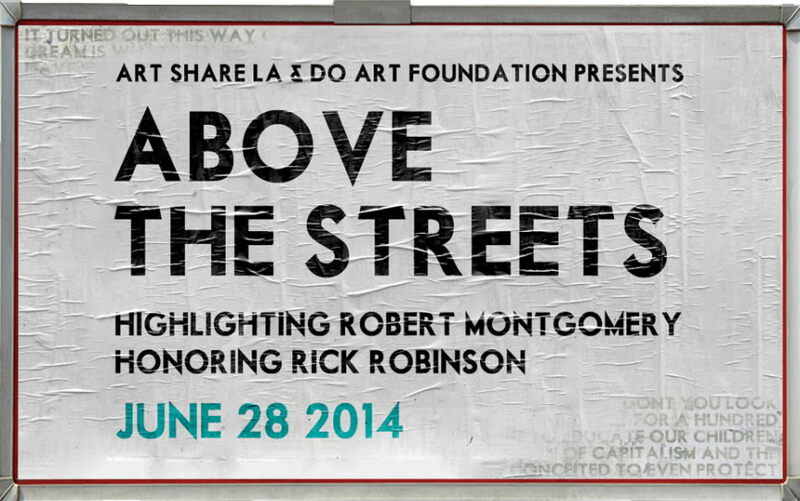 Art Share will also honor Rick Robinson, president of the Art Share board,f or his long term support and dedication to the development of the Art District of Downtown LA, and for leading the re-emergence of Art Share LA. Multi-media event will be having food, beverages, and music to complete the evening of arts. Scheduled for June 28, there are still tickets for various levels of sponsorship available. Above the Streets will put contemplative lit writings of Robert Montgomery in focus, but the silent auction will feature more contemporary creatives’ work. From artisans to artists, visitors will be able to bid on prints, oil canvases and sculptures by Robert Reynolds, Skip Arnold, Qathryn Brehm, Peri Shefik, Raymond Newton, Margery Epstein, Ted Meyer, Anna Stump, Rick Mendoza, A.S. Ashley, Alex Tavoularis, Mark Walsh and others. The proceeds of the auction and the event will be benefitting two non-profit organizations, Art Share LA and Do Art Foundation. 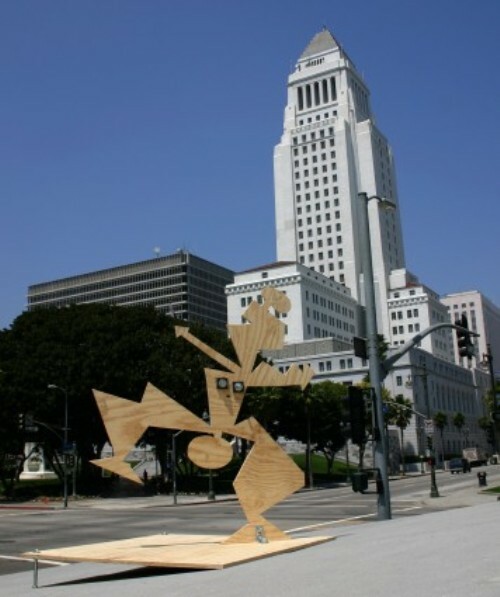 Rick Robinson is an artist from Downtown LA, known for his steel sculptures usually described as primitive pop art. He merges the basic iconographic traits of Native American petroglyphs with new materials such as steel, polymer, fluo paint. He came from the small town of Lodi in California, working his way through San Francisco State University art and advertising study program. Rick has been a devoted leader of the Art Share cause, volunteering as a Board president and driving the movement forward. His works have been exhibited across the country and Europe, from his Los Angeles to San Francisco and New York, and further in Belgium and Germany. He works as a Managing director on West Coast chapter of MacDonald Media from NY, while keeping the Art Share running and creating art. 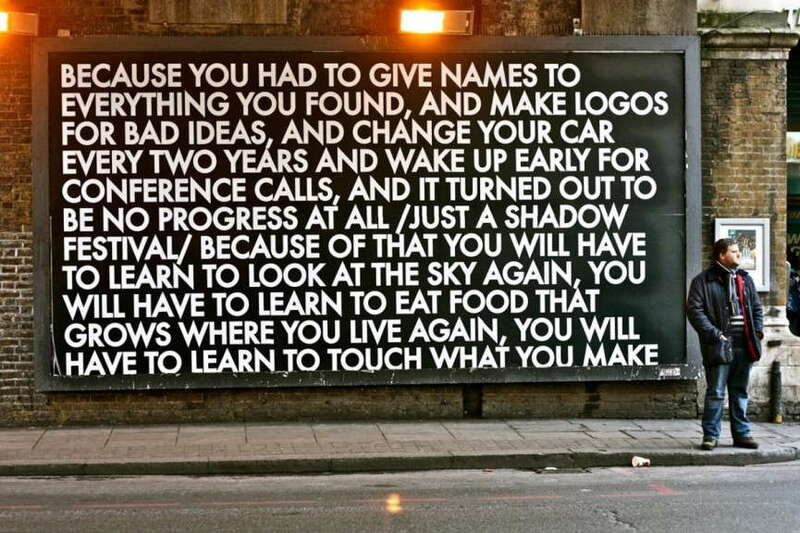 Robert Montgomery has been capturing the attentions of Los Angeles dwellers with his poetry billboards made of lit up words. Meaningful, poetic with a slight touch of melancholy, these magnificent conceptual pieces have taken their spot on the scene instantly. He was born in 1972 in Scotland, and he is based in London, UK today. 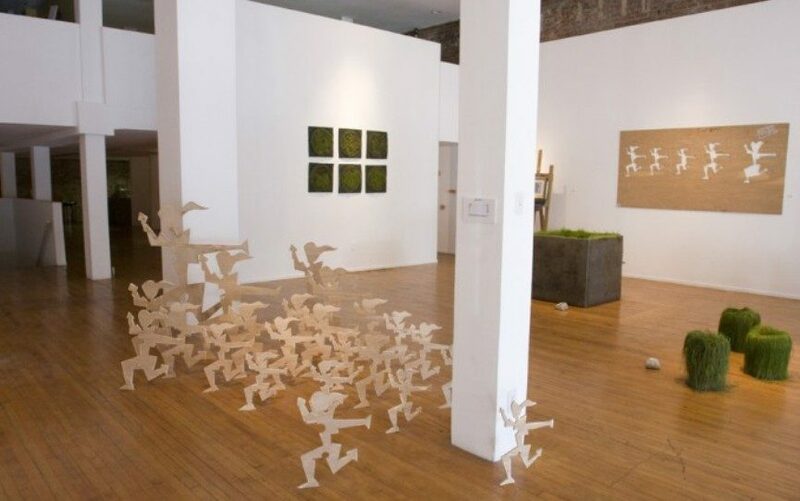 His oeuvre includes billboards, light fixtures, woodcuts and watercolors, while text is usually the main subject in his work. 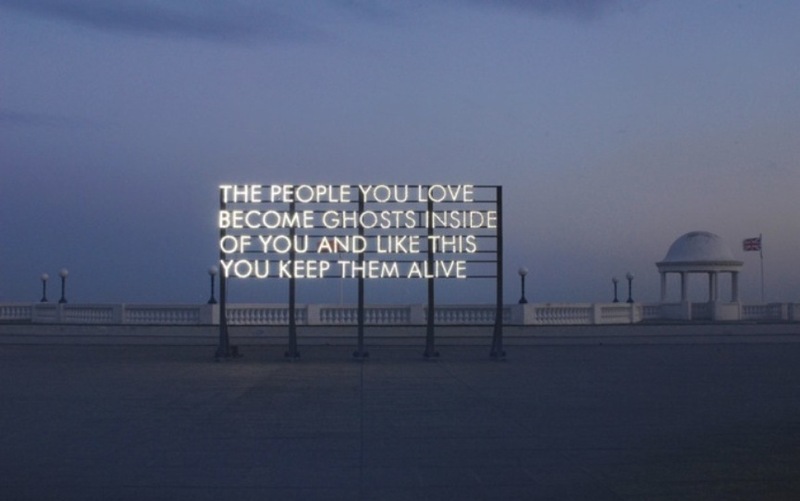 Simple, yet incredibly effective, the art of Robert Montgomery is taking the world by storm. 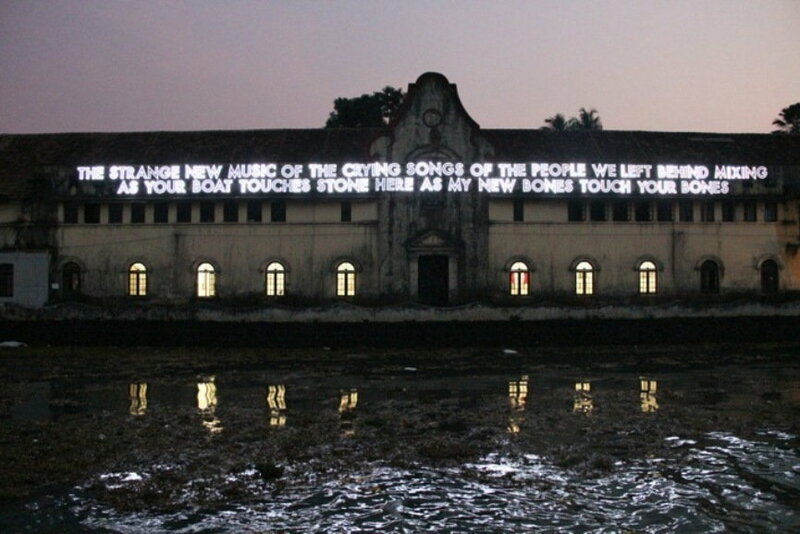 Montgomery was selected as a British representative for Kochi-Muziris Biennale 2012, the first one in India. His work was shown in many solo exhibitions in Europe and Asia, and in numerous group exhibitions at prominent contemporary art spaces.